Looking for a nice pair of wireless Bluetooth earphones but you do not want to play a lot of money? Looking for an inexpensive pair of Bluetooth earphones to use when working out or jogging? 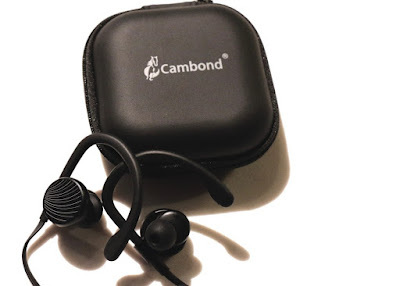 Then you need to checkout the Cambond wireless 4.1 Bluetooth earphones which are only $28.99 on Amazon. The Cambond wireless 4.1 Bluetooth earphones offer up to 10 hours of play time (with volume about 1/2 way up) on a full charge; a charge that only takes about 3 hours to charge from zero to full. 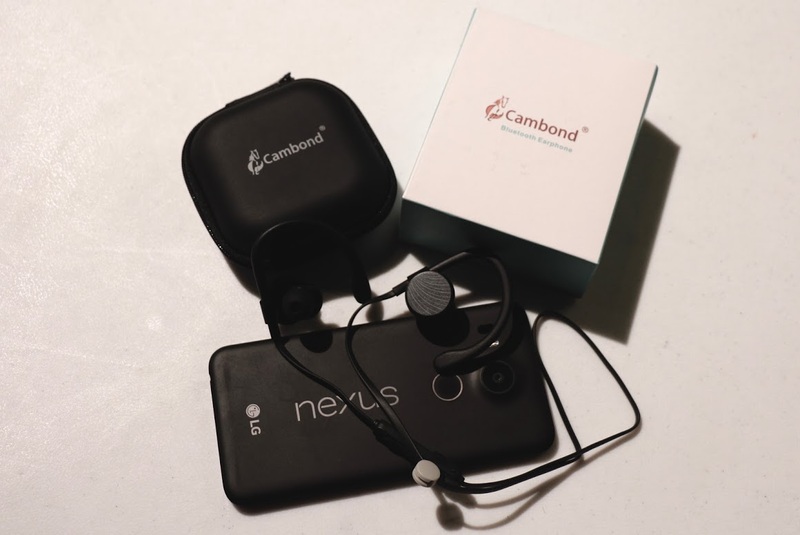 The Cambond earphones are also rated IPX4 sweat-proof which makes them perfect for when working out or jogging! The earphones will work up to 10 meters or 30+ feet away from your phone too, so you can wear them in the office or house and not have to worry about carrying your phone with or losing connection when streaming music or listening to a podcast. Another great aspect of these earphones is that they are noise-canceling so you will not hear most distracting noises in the background while wearing this headphones. I have had these headphones for about a week now and I am still no my first full battery charge. The sound is a nice balance of bass and mids but neither are drowned out by the other. The bass wasn't too thick but it had an overall nice balance to it, or at least for genre of music I listen to. They were loud enough that I never felt like I needed to raise the volume on them but they didn't bust my eardrums either. With any Bluetooth headphone/earphone when you compare it to a corded pair of headphone/earphones; of course most corded headphones/earphones are going to be louder, but I would say these are more than adequate for the majority of users. I would have not problem recommending them! Some other notable features include the ability to play/pause music or adjust the volume with the volume rocker that is on the cable attaching one earphone to the other. You can also use these earphones to take phone calls which is a nice addition. If you have an Apple Watch or Android Watch you could answer calls on your watch and never have to take your phone out of your pocket, use the earphones to talk and hear the conversation. I tested there earphones with both my iPhone 6s Plus and my Nexus 5x and it connected with both devices via Bluetooth with zero issues. In terms of wearing them they were decently comfortable, the body is a tad large but since they hand over your ear they are not heavy or they don't weigh your ear down while wearing them. The ear-hook is adjustable so they will fit most ears comfortably. The hook is something I think makes these better to wear than Bluetooth earphones without the hook, you never have to worry about them falling out of your ear as the hook keeps them in place. These earphones also come with different size rubber earplugs so you can fit them perfectly in your ear for an optimal user-experience. I plan on wearing these all winter, I can keep my phone in my pocket and not have to hassle with running a cable through my jacket just to listen to music when outside in 20 degree weather!